Live TV, Sports & Entertainment at Its Finest! Over 2500+ Live Channels to watch. 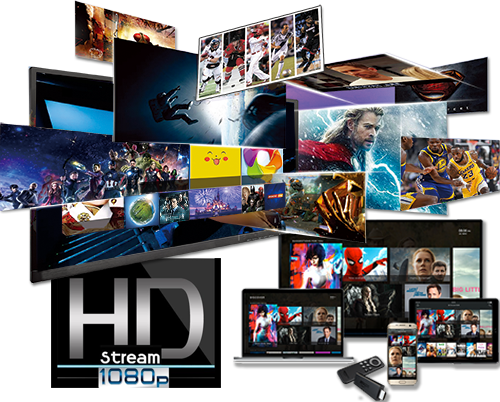 Access your streaming content through your Cell Phone, Tablet, Computer, Fire Stick or Android Streaming Boxes. LEGENDS VIP NETWORK LIVE TV STREAMING! 1. High Speed Internet with a Recommended Download Speed of 10 Mbps. 3. A Streaming device like an Android Streaming Device, a Fires Stick, A Computer, A Tablet, A Smart Phone and it will work on some Smart TV's. CUT YOUR CABLE! $AVE THOUSANDS OF DOLLAR$ PER YEAR! Legends VIP Network LIVE TV. No contract. No cancellation fees. Test drive our service. Try a FREE 24 Hour Trial! I live here in Singapore, I must say the stream is better than cable TV. Totally love American content and the sports package. The monthly subscription price is brilliant! I am all in for saving huge money by eliminating my cable bill. Now I can watch all my favorite LIVE TV and Sports Packages while saving $1600.00 a year … Thanks Guys! WATCH THE COMP PLAN VIDEO! Please do not submit with hotmail, att.net, aol or sbcglobal. Gmail is recommended. YES, please contact me by email, phone, or Skype ASAP!